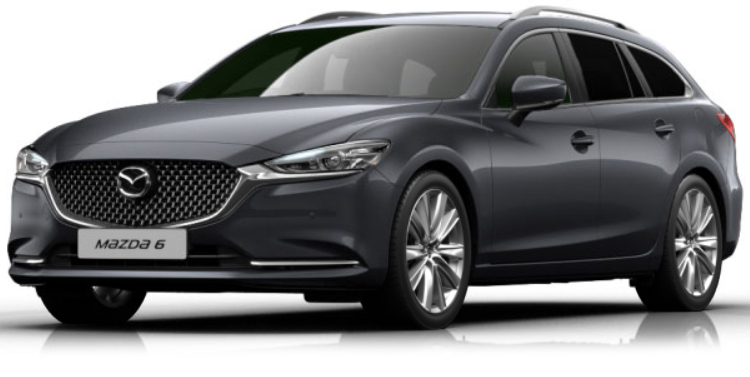 Read our customers' honest and impartial Mazda 6 Tourer car reviews and ratings to easily find your next car at Motorparks. Considered many cars and manufacturers but decided on the Mazda 6 Sport Plus Nav Tourer. Very impressed so far and it has a wealth of great features that keep on surprising me. Very pleased with my purchase. Well done Mazda! A handsome car that is lovely to drive, the nineteen inch wheels are fine and I don't feel the harshness that some reviewers mention. Some corners have been cut to save money on the interior but overall it still feel feels resasonably upmarket. The sound system is excellent. The seats are comfortable with great range of adjustment in the Sport Nav spec. I wondered whether to go for the 150 or 175 BHP and I find the 150 more than adequate. Overall, after a couple of thousand miles, I am very happy with the car. I have always bought Volvos and the drive is much better but the feel isn't quite as well built. I bought a last model year pre registered at a 20% plus discount from list and that seems fair value. I wouldn't have felt the same if I had paid close to list. The whole process of buying my new car was very easy. I received what I considered a fair price for my trade in and my new car was presented in a way that is a credit to whoever does the valeting. The paper work was handled by Steve Greenfield. Steve is a real professional and very amiable and I would have no hesitation in recommending Northampton Motors to anyone looking to buy a new car. My Mazda 6 estate petrol sport nav is a fantastic car, fuel consumption on long journeys is 50 mpg and local driving 44 mpg. The Invicta team members were extemely helpful and I highly recomend them as I travelled from North Wales to collect this vehicle.